Some people were surprised to see Dan John writing about his experiences with intermittent fasting, since in his early writing he wrote of the importance of breakfast. In this talk, he lays out his new ideas, including the concepts of elimination and deprivation. 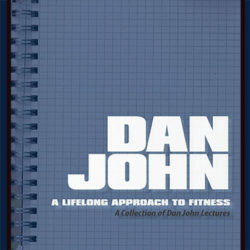 A prolific writer, Dan is also a life-long competitive athlete, a well-known speaker and a former high school teacher. You’ll enjoy his regular blog writing on his site at danjohn.net and can pepper him with questions in his Q&A section in the IronOnline forum at davedraper.com.